Marcel signaled the first major misstep. Now, Fry’s latest-latest restaurant shows the chef has overextended himself. A few months ago, Corby Kummer reviewed Marcel, Ford Fry’s Francophile steakhouse on the Westside. Sloppy service and bland steaks at stratospheric prices led Kummer to write, “It’s rare to see such a calamitous collision of ambition and execution.” I wondered how Fry would react. He is, far and away, the most successful and well-known restaurateur in the city. Would he even care if some pesky critic didn’t like his $115 porterhouse? Turns out he did care—at least enough to commission a caricature of Kummer with the body of a cheeseburger (one of the few standout dishes at Marcel) and stamp it on the late-night menu. Touché. That Fry had ambitions to blanket the city with restaurants wasn’t at all apparent when he opened JCT Kitchen in 2007. In fact, he waited a full four years before opening his second one, No. 246 in Decatur. But last year Fry went on a bender, opening a new restaurant almost every two months, faster than most people schedule a haircut. In Fry’s hasty and indefatigable ascent to the top, Marcel signaled the first major misstep, raising the question of whether he had overextended himself. His latest-latest restaurant, Beetle­Cat, offers a stiff answer: yes. At least Fry had good intentions: to open a little sister to the Optimist, his seafood looker on the Westside that gave us the city’s best lobster roll. And like the Optimist, BeetleCat was named for a small boat, one John F. Kennedy Jr. might have sailed off Cape Cod a half century ago. He might have even slurped the same varieties of oysters that BeetleCat sources and arranges beautifully on trays packed with ice. From the front, BeetleCat looks like a one-story restaurant, a landlocked lighthouse jutting from the busiest intersection in Inman Park. Inside it’s more like a cruise ship, with decks upstairs and down. On the main level, sailcloths stretch over a long oyster bar lined with thick-cushioned turquoise stools. It’s moodier downstairs, where the lights are dimmer, the music louder, the ceiling lower. Maroon carpeting, faux wood paneling, leather booths, a bar lit dandelion-yellow—it’s a pad ripped right out of the 1970s. The crowds don’t discriminate between the two levels. On one Friday the downstairs bar was five deep, with a two-hour wait upstairs for a party of two. Another six lined up just for the bathroom. It wasn’t even 8 p.m.
BeetleCat’s popularity should come as no surprise. Cocktail-fueled crowds are standard when dining with Fry, whose interiors are never anything less than stunning. But at some point, you will need to eat—calories to balance the booze. This is where BeetleCat starts to sink. The kitchen is helmed by Andrew Isabella, who spent the last year hop-scotching among Fry’s other new restaurants. Isabella acknowledged over the phone that the timeline for BeetleCat was rushed and that he would have liked to have had more meals in other cities for inspiration (Fry is fond of research trips before opening a restaurant). But Isabella did know one thing: He didn’t want to be tethered to just one cuisine, as he was at Fry’s Italian No. 246. This at least explains why he steers in so many directions, from Thailand to China and from Vietnam to Korea. It’s a bold move, if not simply because fusion itself is a dated idea, one that flourished in the 1980s and 1990s but felt gimmicky, disrespectful even, a decade later (kimchi-stuffed quesadillas glazed in teriyaki, anyone?). Isabella is not nearly so brazen, but neither is he convincing. He confessed to having no formal training in these cuisines—and it shows. Korean fried chicken wings, a meatier upgrade to the American classic, typically boast unparalleled crunch and crust thanks to a double-dip in the fryer. The ones at BeetleCat arrived soggy on one occasion, crispy the next, but ruined both times by a thick, cloying sauce of gochujang and honey. Bok choy were tossed in a habanero vinaigrette so acerbic it could erode tooth enamel. Shishito peppers sounded good, except that they were glossed in an aged soy sauce exponentially more concentrated and salty than it needed to be. A Hong Kong–inspired preparation of Dungeness crab with XO sauce offered little more than cabbage and over-fried cubes of tofu with the texture of weathered carpet. But even on a weeknight when the mood is less frenetic, we could still be marooned tableside. Obvious tasks went unchecked: menus never cleared, dropped forks never replaced, waters rarely refilled. When one server spilled a wide black pool of XO sauce onto the middle of the table, he never returned with a towel. Was there an eye in this storm? Well, Fry still makes the city’s best lobster roll. 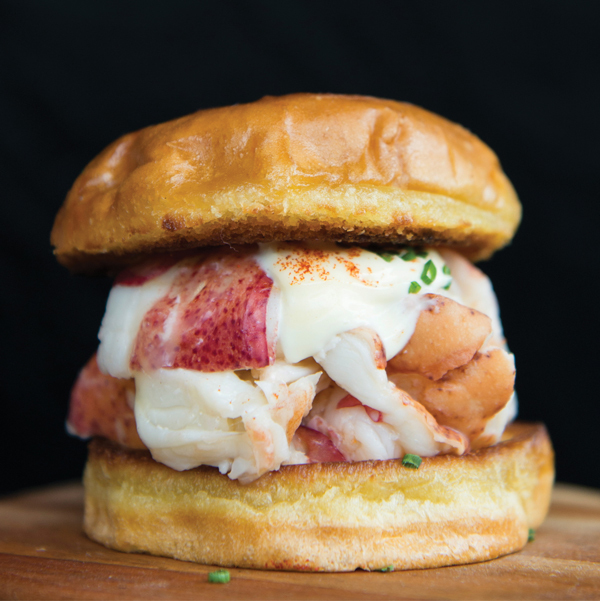 Although the one at BeetleCat comes on an over-buttered hamburger bun, the lobster meat remains a treasure: fresh, sweet, and plump, mixed with just enough butter and mayo. At $23 (and with no side), it’s also pricey. Four miles away at the Optimist, a Fry lobster roll is two dollars less at the oyster bar and includes chips. Tuna crudo is worth a try, pounded into thin sheets like carpaccio and crowned with cilantro, Thai basil, mint, and a tangy fish sauce. It was the best attempt at culinary cross-pollination, an Italian classic with a Thai edge. Beyond that, manage your expectations. Swordfish in miso broth or fried conch fritters could have been made of anything, since they tasted like nothing. An unseasoned steelhead trout served with plain lentils and a dubious cauliflower puree had even less flavor. 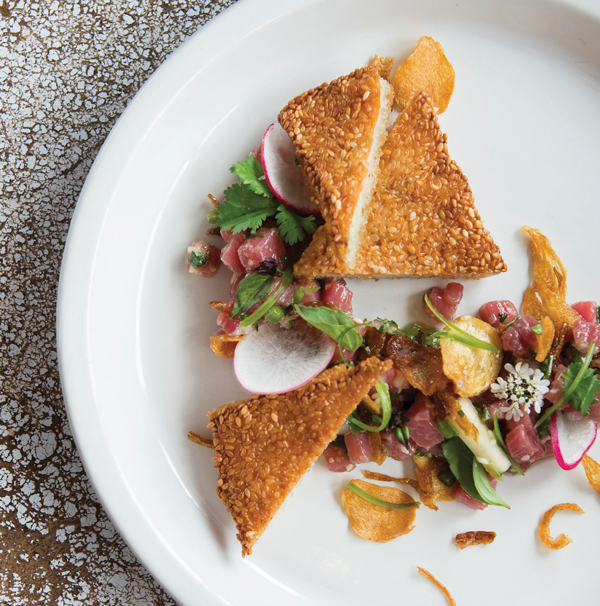 More successful was Isabella’s lively steak tartare, propped up with a sesame vinaigrette, pickled papaya, and crispy shallots, and slathered over shrimp toasts. Salt-and-pepper squid was fine—fried well, though troubled by a loose salt shaker. 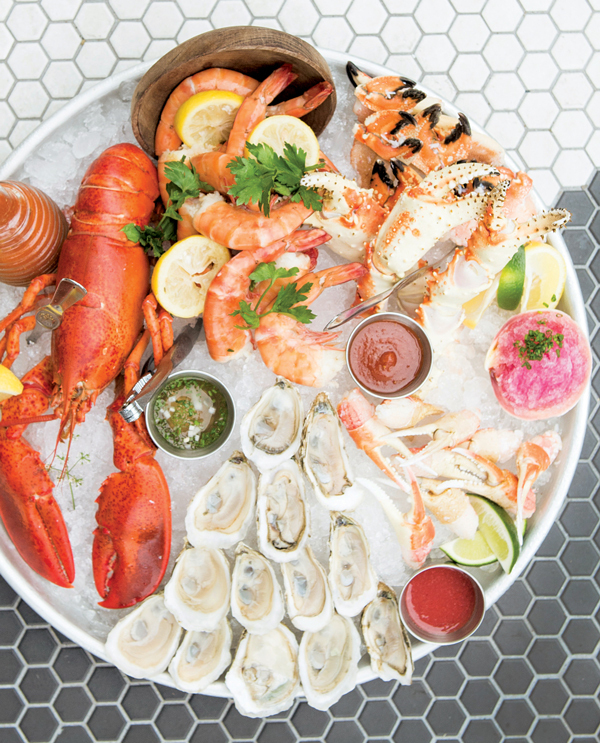 During lunch service on Friday and Saturday, Fry ditches the Asian accents entirely and embraces the seafood shack vibe he so carefully constructed. Everything is fried—clam bellies, strips, haddock, onion rings—and everything arrives with neither crunch nor crumb, the batter inexplicably mushy and soft from the start. In our 2013 profile of Fry, the Houston native said that he saw himself as a mentor to the young chefs who lead his kitchens. He aspired to give them the support that they needed to one day “strike out on their own with their own places.” That is a noble sentiment, if not completely plausible, given Fry’s Monopoly-minded approach to growth. That kind of mentoring could only benefit Isabella, who would do well to follow the path of Chris Shepherd, Fry’s fellow Texan whose cooking spans the Asian continent at Underbelly in Houston. Shepherd, a James Beard Award winner, honed his technique in Houston’s family-run Asian kitchens—the rundown, overlooked haunts that thrive solely on the merit of their food. Today he is a proud example of an American chef capable of sensible, soulful, Asian-inspired dishes with stateside slants. For Isabella, it’s a lesson on how to move forward, and for Fry, it’s a lesson on how to keep from falling backward. BeetleCat doesn’t take reservations, so arrive by 6:30 p.m. on weekends if you don’t want to wait an hour-plus for a table. This article originally appeared in our July 2016 issue.